34x20 cm – 31 pages. Catalogue with text in Korean and English published on the occasion of the exhibition held at the Gallery Seomi in Seoul from 5 to 31 October 2010. 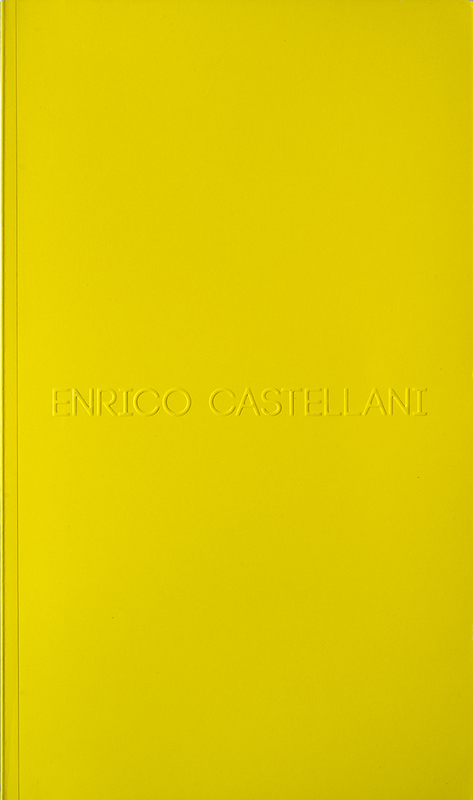 The publication comprises a long interview by Hans Ulrich Obrist with Enrico Castellani and the images of the five works on exhibit, all of the same size but in different colours, created by the artist for this exhibition.